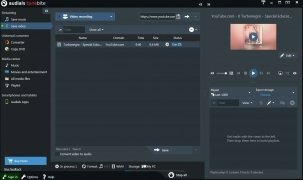 If you're looking for a professional application to perform multimedia conversions between formats, you can try out Tunebite, an application developed by Audials, a well-known company that develops music software. This application includes really interesting options that make it one of the best in its field. 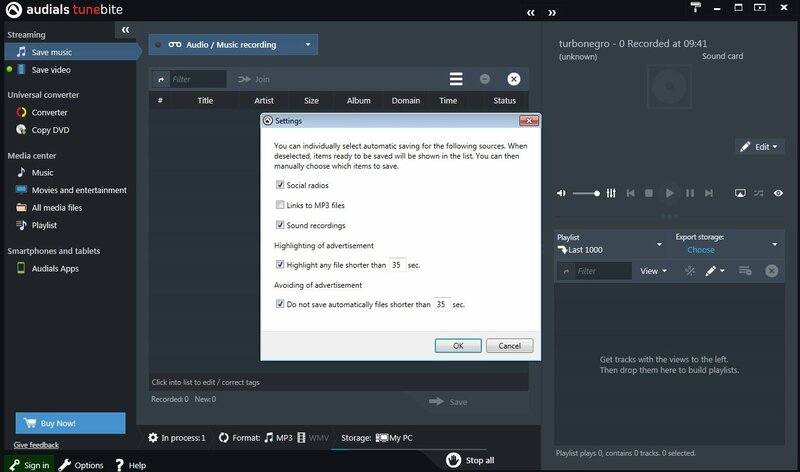 This software allows you to record music files protected with DRM, audiobooks and videos while it plays any file. Moreover, it's possible to convert the multimedia files with DRM to other formats that don't have the anti-copy protection like MP3, WMA, OGG or WAV and WMV or MPEG4 in the case of videos. To show its integration with social networks, it's capable of downloading and storing videos from YouTube, Yahoo, Facebook, MySpace, ClipFish and MyVideo in the format of our choice, a really interesting function, especially with Tunebite's capacity to synchronize with various multimedia players. The application's interface is somewhat complex to begin with, but it should only take the majority of users a couple of minutes to realize that the organization of all the options isn't at all chaotic, and that everything can be accessed in a couple of clicks.